District heating with heat from efficient combined heat and power (CHP) represents a environmentally friendly method for the heat supply of buildings and industrial processes. In periods with a high electricity production from renewable energies the operation of CHP plants however becomes more and more uneconomic. By existing contracts heat supply is guaranteed and this heat has to be covered by conventional backup boilers then. This is the starting point of the research project. A decentralised feed-in of heat from renewable energy sources can offer a climate-friendly addition to conventional CHP technology. In the framework of this research project especially the technological feasibility will be investigated using the example of a mid-sized solar thermal plant. So far in Germany there is no example available for a decentralised feed-in of solar heat into a large district heating network. To proof the feasibility a prototype for the combination of a solar thermal system and a district heating substation with a feed-in possibility into the network will be developed. The special challenge here is the consideration of the changing technical conditions of the target network regarding temperature and pressure development. When the technical requirements are fulfilled, the impact of the decentralised solar heat production on the total system with CHP units, backup boilers, district heating network and user substations will be investigated. Here the focus is given to the following questions: What heat potential could be made accessible? How can solar district heating complements CHP production in a way that primay energy savings and energy efficiency are maximised? What are the economical values for the district heating network operator and the solar plant operator regarding possible business models? With consideration of these factors the produced solar heat can make an important contribution to primary energy saving and CO2 saving, also in existing district heating networks. 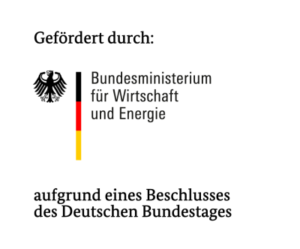 The aim of the research project is to demonstrate the technical and economical possibilities of decentralised feed-in of solar heat into district heating networks with a high degree of practical relevance using the example of the Stadtwerke Düsseldorf AG and to show possible developments for the entire district heating sector within the framework of the German energy transition. The project mainly focuses on technical aspects of a multiple heat feed-in into heating networks. For this novel concepts are applied, innovative components are tested and a monitoring program is conducted for operational optimisation and evaluation. The result of the SWD.SOL project is to demonstrate the technical and organisational feasibility of the concept of decentralised feed-in of solar heat into existing district heating networks using a real pilot installation. Especially high temperatures and pressure levels are considered.